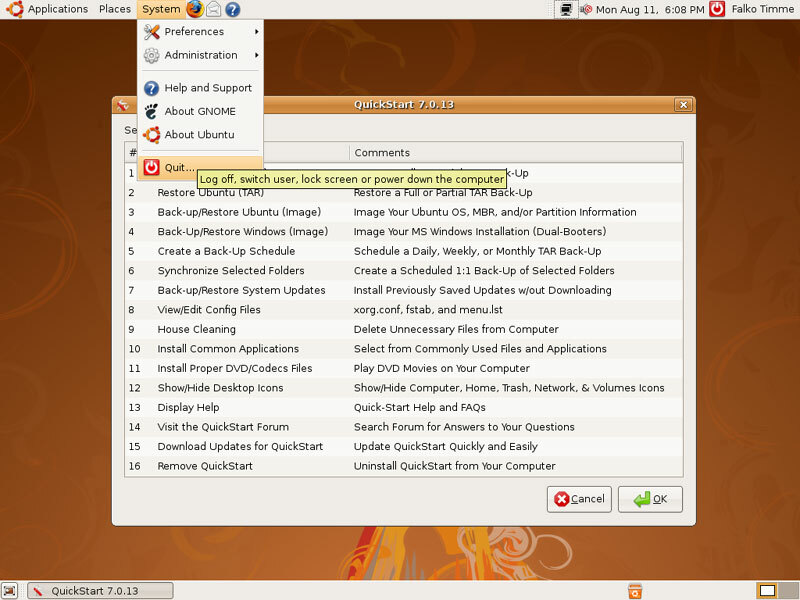 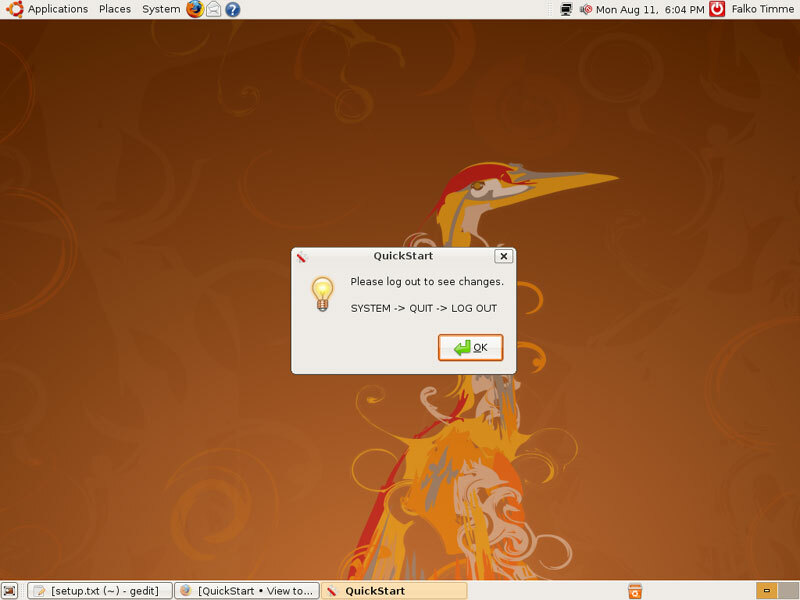 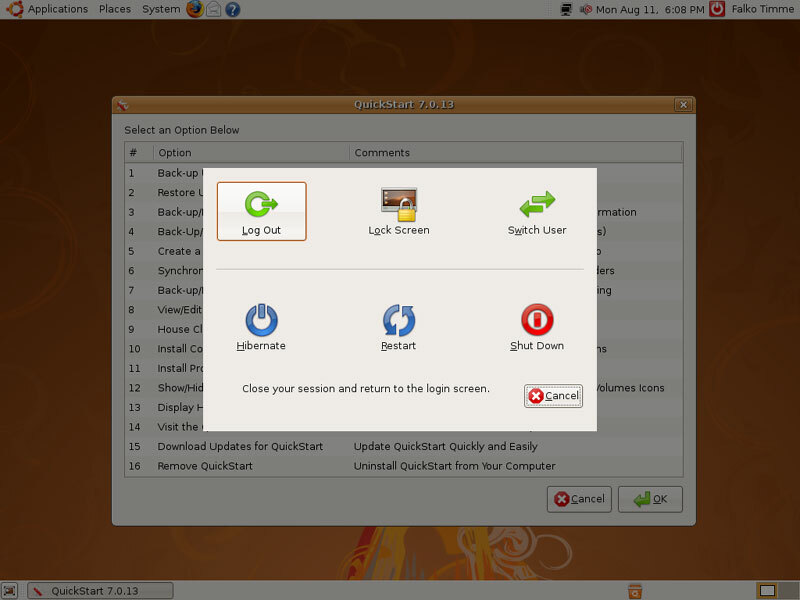 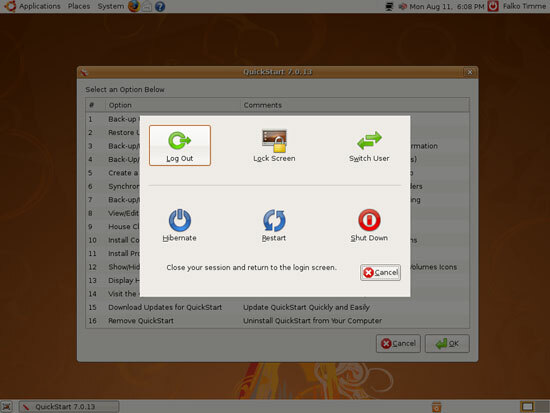 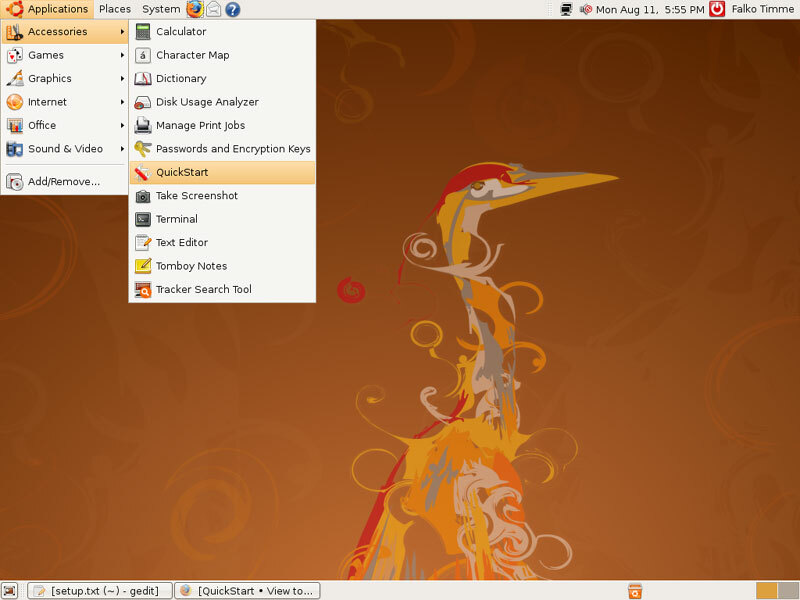 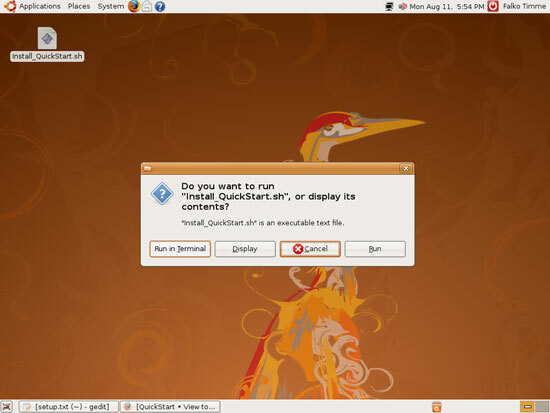 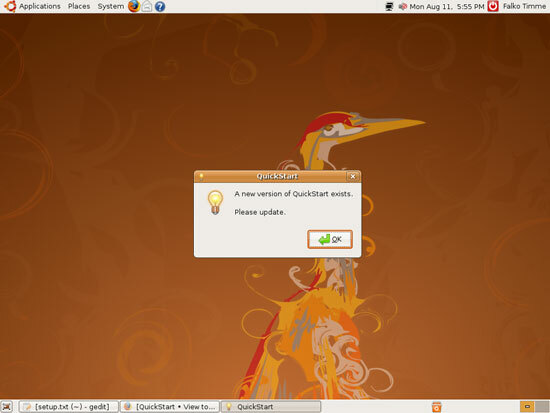 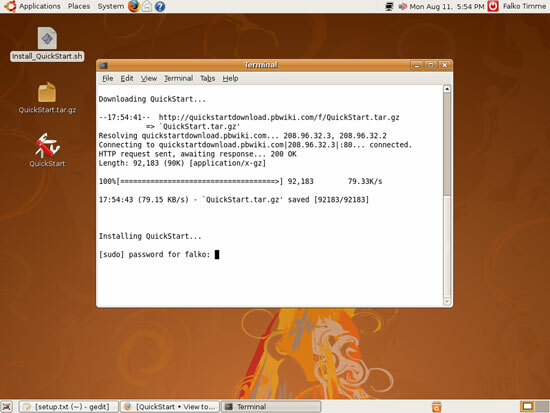 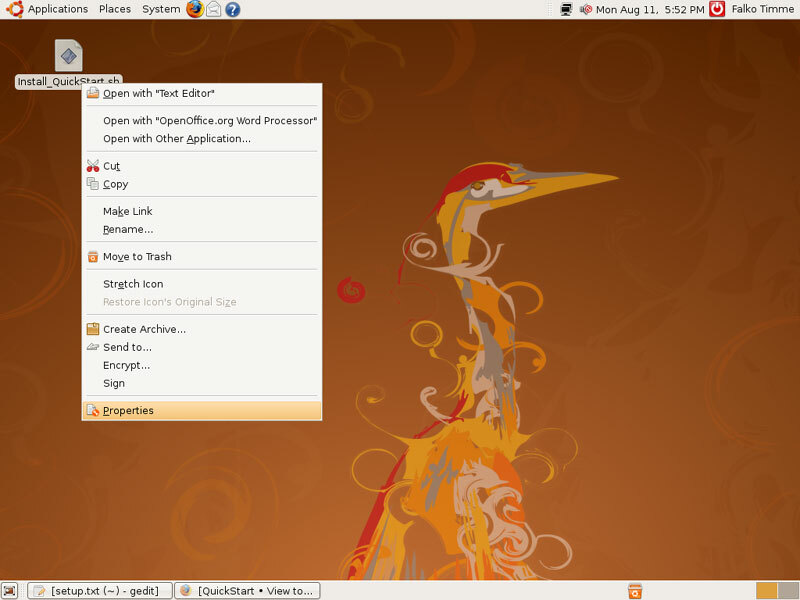 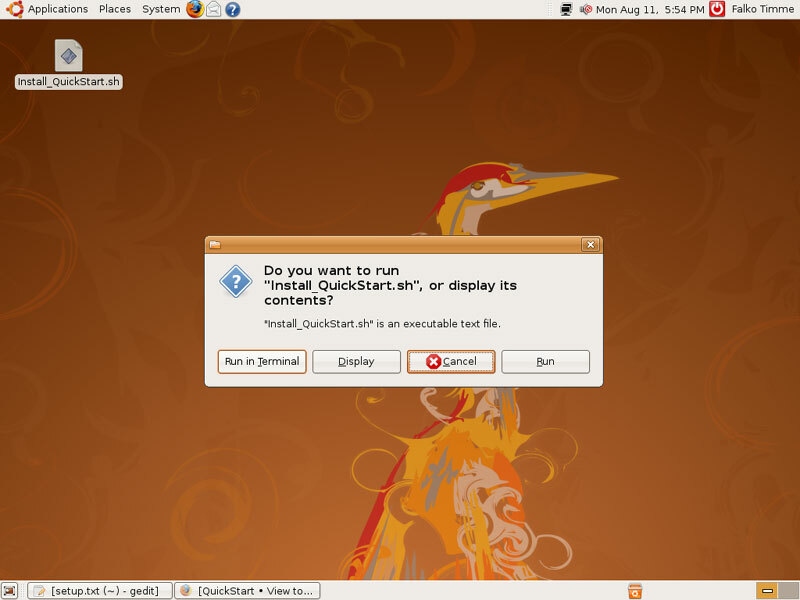 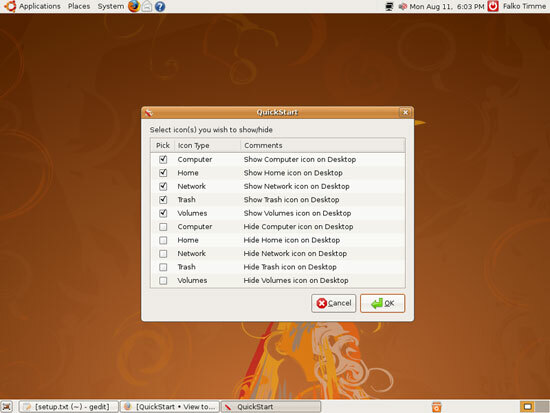 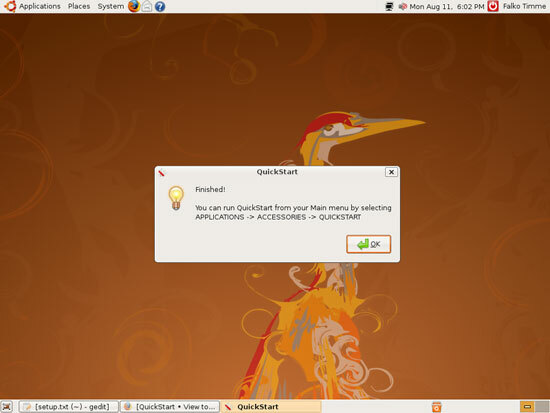 In this article I will show how to install and use QuickStart on an Ubuntu 8.04 desktop. 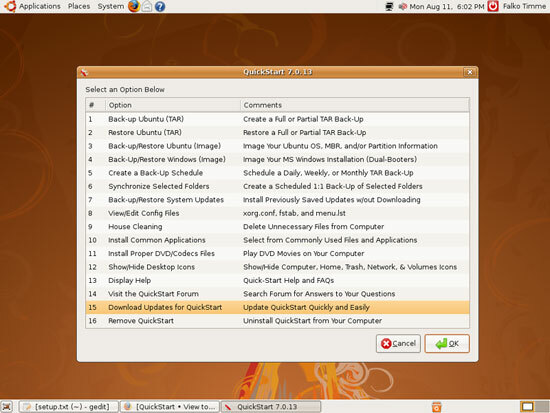 QuickStart is like a Swiss army knife, it allows you to do various things on your Ubuntu desktop: creating and restoring backups, running scheduled backups, backing up configuration files, installing some common applications, installing DVD codecs, deleting unnecessary files, etc. I will now walk you through a few of the available options. QuickStart will finish itself, so to run the updated version, you must start it again (Applications > Accessories > QuickStart). 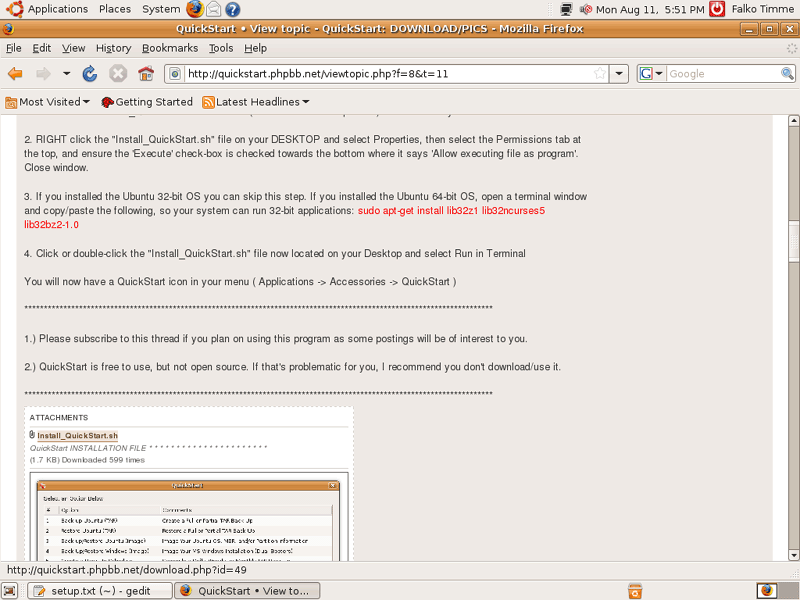 QuickStart works amazing! 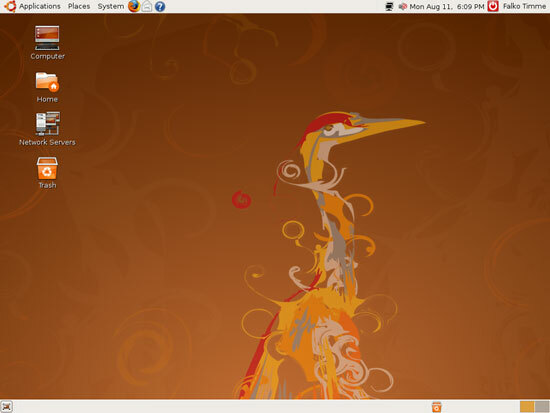 I have a beautiful background picture and hiding the desktop icons was great!